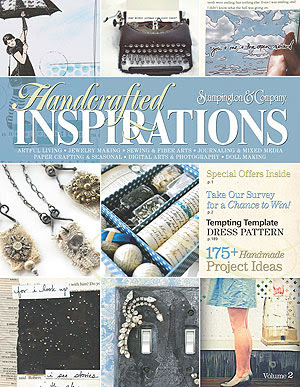 Today I won't share with you my latest Pinteresting finds, because I have something even more fun to show you: The latest free downloadable magazine from Stampington! I had the honor to be chosen to be part of this issue and I'm so happy to share it with you all. It's packed with ideas and some of the best articles they have published so far, so check it out! You just have to click here to download it. (And go to page 86 to read my article).